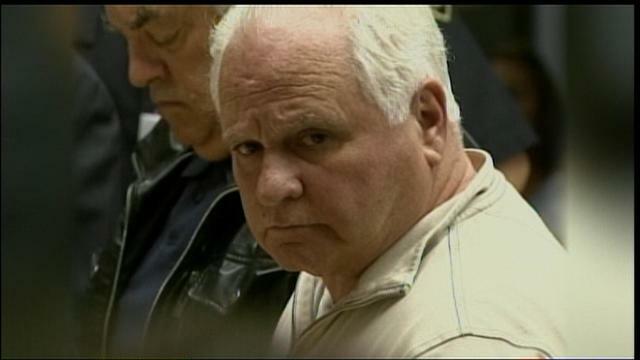 After serving more than seven years behind bars for his role in a conspiracy case, New England Mafia capo Edward "Eddie" Lato is now out of prison. Lato, 71, was released Wednesday from Fort Dix federal prison in New Jersey, and was brought to a halfway house in Pawtucket, the Target 12 Investigators have learned. The longtime high-ranking member of the mob was given the stiffest sentence in a sweeping 2011 crackdown on organized crime. The bust scooped up nine members or associates of the New England mob including former boss Luigi "Baby Shacks" Manocchio, former acting boss Anthony DiNunzio of East Boston, and others. Lato was sentenced to nine years after pleading guilty to racketeering conspiracy for taking part in a scheme to shake down strip clubs for protection money. Lato's sentence was set to expire in July of this year, but Lato was eligible for release to home confinement or a halfway house on Jan. 25, according to information Target 12 obtained from the Federal Bureau of Prisons under a Freedom of Information Act request. Prison regulations require that Lato must find employment in order to qualify for a stay at a halfway house. Lato's attorney, Mark Smith, said he had "no knowledge" of Lato's situation. While serving his federal sentence, Lato made a brief appearance in a Rhode Island courtroom in 2014 to put a state case to bed. Lato along with mobsters Frank "Bobo" Marrapese, Alfred "Chippy" Scivola and nearly two dozen others were arrested in a state police sting into illegal sports betting. Prosecutors said the ring was run by Vincent "Tootsie" Tallo. Lato pleaded guilty to his role in the operation in November 2014 and was given a 10-year suspended sentence and 10 years of probation. Lato will also be on three years of probation on the federal case. In the federal case that handed Lato his longest ever prison sentence, former mob capo regime Robert "Bobby" DeLuca wore a wire for the FBI against his fellow mobster in the 2011 case. For his cooperation, DeLuca served one day in prison for his role in the extortion scheme. DeLuca and his brother, Joseph DeLuca, were star witnesses in last year's trial in Boston of former mob boss Francis "Cadillac Frank" Salemme, who was found guilty of taking part in the 1993 murder of Boston nightclub owner — and Providence native — Steven DiSarro. In a letter written to the judge in the Boston case, DeLuca denounced the mob and said he had found religion before getting arrested for lying to federal investigators in the DiSarro case. He is now serving 5½ years after pleading guilty in that case. DeLuca has also pleaded guilty for taking part in the murder of mob hitman Kevin Hanrahan on Federal Hill in 1992. DeLuca said he took part in the planning of the hit, but the actual triggerman has never been caught. Lato has been identified as a suspect in the Hanrahan murder, but has not been charged.